The perfect gift for your lovely Mother-in-Law! This Joma Jewellery bracelet is presented on a gift card that reads 'This little flower Is just to say, thank you for helping us tie the knot today'. Are you looking for a beautiful little token to give your Mother-in-Law on your special day to show just how much she means to you. 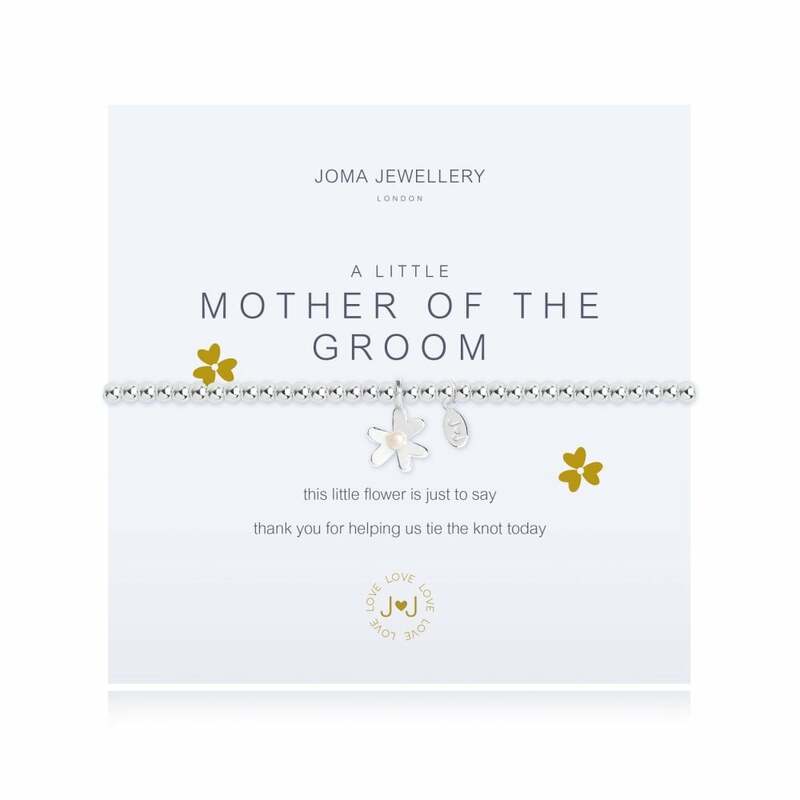 Then this A Little Mother of the Groom bracelet from Joma Jewellery is just the thing you've been looking for! The classic silver beads are finished with the addition of a gorgeously unique silver flower pendant, with a pretty pearl in its centre. Please keep your item dry at all times and away from perfume and body creams in order to preserve any plating and to ensure your piece lives a long and beautiful life.